ONE: Religious Freedom is something that I treasure. 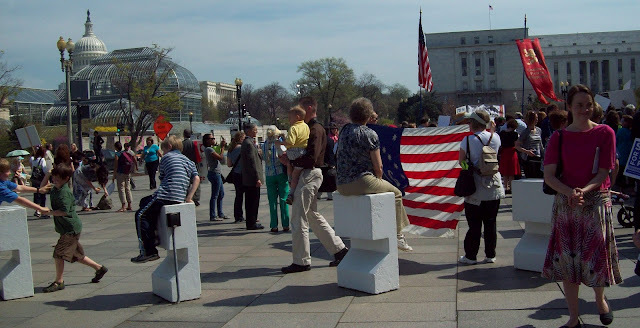 This week I blogged about the HHS Mandate and also about the Religious Freedom Rally that Catherine and I attended. I do feel that this is an issue that all Americans should be concerned about--it isn't just a Catholic issue. TWO: I recently started a crochet project using crochet thread--which is a first for me. The scarf is turning out to be quite lovely--if I do say so myself. However, it is taking so long! I actually began a baby blanket (with a thicker thread and bigger hook, of course) to feel like I was making progress on something. I guess that I am just too impatient. THREE: Catherine has developed this adorable habit of "Cheers!" I have no idea where she picked it up, but now whenever she is drinking and she spots someone else with a cup she goes over and clinks glasses. It is so cute! FOUR: I need to cull through my inbox. There are quite a few messages piling up that "need attention". FIVE: Lent is almost over! SIX: One of the "learning time" activities that I do with Catherine every day is to go through a couple stacks of flashcards. She is doing an excellent job of recognizing the pictures; when I ask her to find a particular one she generally is able to point it out. One of the sets that I got at the consignment sale is all insects--which she seems to like, but I actually find some of them kind of icky! (Can you say cockroach? Or earwig? Or silverfish?) Oh well, I guess if she likes bugs and such then she can be the one to get rid of them for me when she's a little older . . . 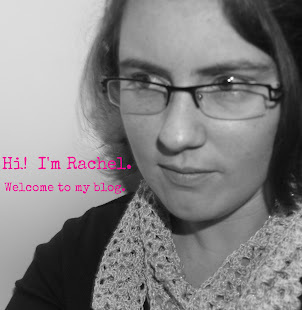 SEVEN: I really am enjoying having a blog. I am learning as I go--but I AM learning! 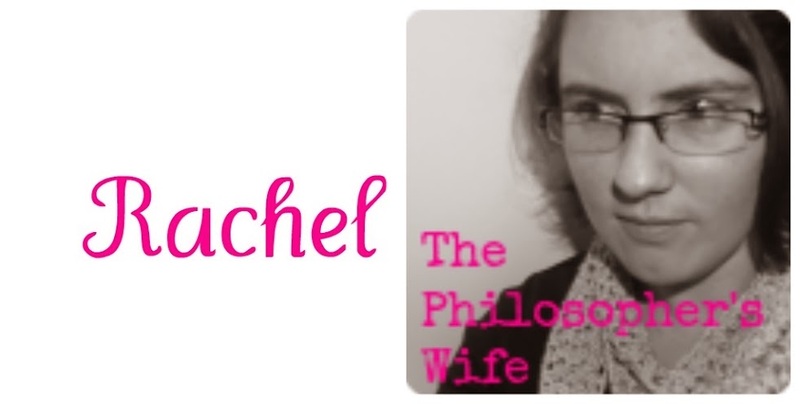 My little blog hit a big-for-me milestone this week. I passed 10,000 page views (according to blogger). Another cool milestone is that one of my crafty posts was featured on another blog! 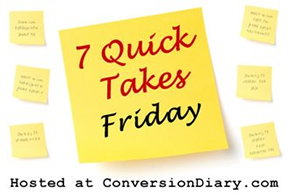 Check out more 7 Quick Takes here. front of the United States Capitol. It was a beautiful day! The Cherry Blossoms were breathtaking! My little girl actually wanted to take a nap on a bed of Cherry Blossom petals. thirty seconds before bouncing back up. 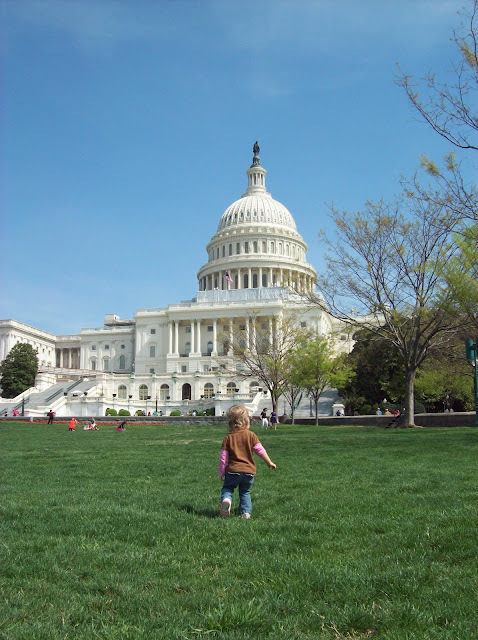 We gathered in front of the Health and Human Services building on Independence Avenue, just down the street from the United States Capitol, around lunchtime. At the beginning there were only a few hundred people, but the grand tally lies somewhere around 2,000. I think that it is important to note that this number does not reflect the support given by those just passing by in a typical D.C. rush. A couple of people were holding signs by the road that said "Honk for Religious Freedom" and other such sayings--all had a very clear point. I was (pleasantly) amazed at how much honking occurred. Catherine was not thrilled with being at the rally (it was nap-time) so we spent a great portion of it walking the perimeter, so we had a better opportunity than most to survey the crowd and the public's reception. There were lots of women (like myself!) in attendance. so many people pushed together in the shade of the building. The outskirts of the rally--with a view of the Capitol Dome. Yet another perspective of the crowd. This time the center point is to the right-hand side. The HHS Mandate certainly has been in the spotlight lately. The Catholic Church is doing what she can to fight it. Many people mistakenly believe all the resistance to this mandate is due to the Catholic Church and her stance on contraception. Now, I am a Catholic and I do stand with the Church. However, even if I were an atheist or if I had zero objections to contraception I would still be siding with the Catholic Church on this one. Because this mandate clearly goes against the Freedom of Religion, which as an American I hold dear. It is clearly trying to force a religious organization (the Catholic Church) to act in a manner opposed to its belief (paying for abortions/contraception). This is a serious issue for all Americans, not just the Catholics. The insurance company will be required to offer the service, but will be forbidden from explicitly billing the Catholic organization for providing this benefit . 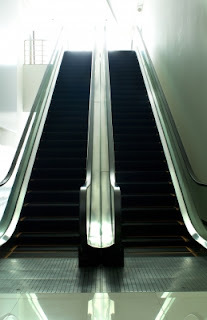 . . the Church is still being forced to support what it believes are sinful acts. This “equitable solution” is simply an attempt to soften the blow of forcing the Catholic Church to accommodate the dictates of the . . . federal government. I am not a Catholic, nor do I believe in the Church’s opposition to contraception. But I pray that the leadership of the Catholic Church will have the faith and courage to stand for its core beliefs and use all of its moral power and political influence to defeat the President’s edict. I pray they will reach out across the political spectrum to people of all faiths, agnostics and atheists in the name of religious freedom and individual liberty. By so doing, they, and the institution of the Catholic Church, will have my love and respect for the rest of my life. The burdens on religious freedom and diversity imposed by the mandate have been obscured by several widespread mistakes and misconceptions. First, it is said by some that those who resist the mandate — the Catholic bishops make particularly appealing villains in this account — are trying to "impose their morality" on employees, or to "deny access" to items and services to which most people — indeed, many Catholics — have no objection. This charge is false. Religious institutions are not trying to control what their employees buy, use, or do in private; they are trying to avoid being conscripted by the government into paying for what they teach are immoral acts. It is the administration, and not the Catholic Church, that is imposing its values on the vulnerable and unpopular. This is an important issue--for all Americans, no matter what their religious affiliation happens to be. 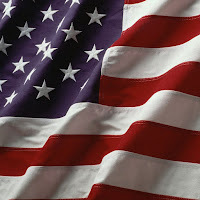 I am a Catholic American Woman, but I speak for men and women of all religions and non-religion. Two of the shows that I am currently working my way through--Body of Proof and Crossing Jordan--feature medical examiners. Now, (obviously) I am not a medical examiner. I have no intimate knowledge of what an ME's daily duties are. I do very much appreciate the work that they do. But are shows like these taking too much of a literary licence? Does this belittle the actual work that they do perform? Or, am I completely mistaken and they (to some degree) do perform everyone's job? Thank you for reading my random topic of the day! And please no spoilers--I hate knowing what happens beforehand! I found one lonely ball of this green variegated yarn in my local dollar store. With a little over a hundred yards it had slightly limited potential. But I thought it was a fun yarn and that I could do something cool with it! While at Michael's with my sister earlier this month I picked up some simple D Rings (with a coupon, of course!). When I got home and was putting away my new goodies I decided that the green yarn would make a perfect belt. And a new project was born. 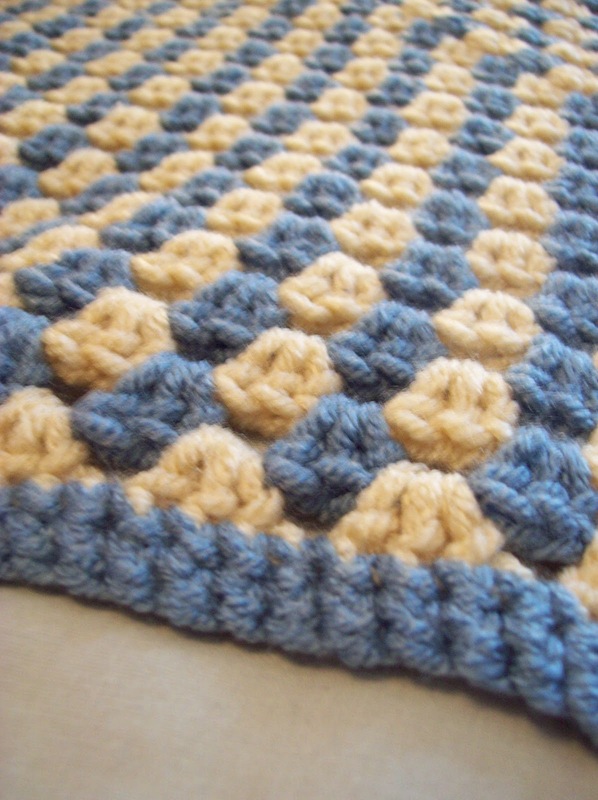 I really like this combination shell and v stitch pattern. I first came across it in this book, but here is an online resource. 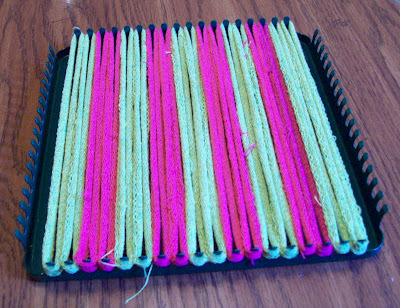 The yarn used for the belt is a much heavier weight than in either example. I had some serious trial and error in the begging of making this belt. I had never used D Rings before, and I completely forgot to leave them "wiggle room". Luckily, I only had about ten inches or so done before I tested it. (Basically, there was no way for the belt threaded through the rings to lay flat--certainly not an attractive look!) Of course, it was super easy to unravel and start again. The second time I used a larger crochet hook as a spacer. That helped massively. 1. Work 5 stitches around D Rings (AND A SPACER!). 2. Chain 1, turn. 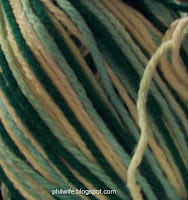 Work row of single stitches. 3. Chain 3. Make shell in first single crochet. 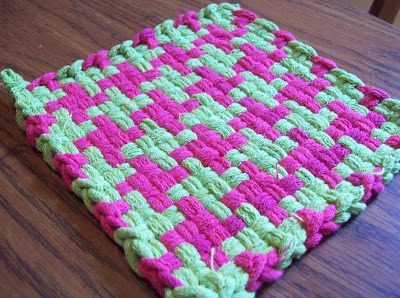 (Shell=2 double crochet, chain 1, 2 double crochet) Skip 3 stitches, make shell in last stitch. 4. Chain 3. Work shell into space on shell (the chain stitch portion). Repeat with second shell. 5. Repeat step 4 until desired length. Don't forget about my first ever giveaway! Check out these awesome parties! My entry into A Crafty Soiree sponsored by Appliances Online and the Bosch Washing Machines. ONE: Is it summer already? No? It's just mid-March!?!? I've worn shorts a couple of times this week. And I even turned the AC on (more than once). won't put down pretty much round out the trip. FOUR: I've been crocheting a variety of flowers this week, but my big project is this baby blanket I started. I love this yarn! I am also really liking the stitch pattern with the color variation. FIVE: I miss treats from the break room at work. Shirt, skirt, pants, and a (hair) scarf round out her stylish garb. And she managed to snag my phone. While visiting my family in Kentucky we had to spend some quality time in the basement due to the tragic tornadoes just miles away. Catherine took this opportunity to check out a lot of the toys from my childhood. 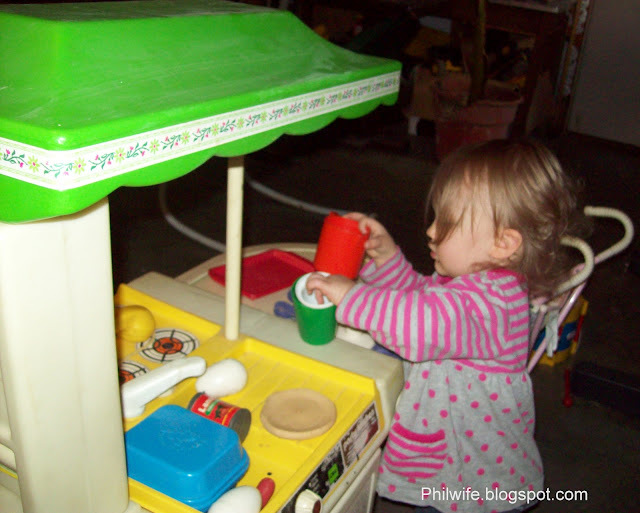 This Little Tykes Play Kitchen was one of my prides and joys. It is not in pristine shape, but she loved it. Someday I look forward to bringing this toy into my house--but not until we have more space. A lot more space! 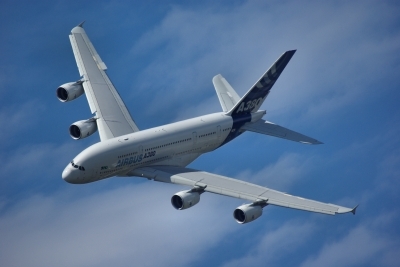 Any long distance traveling with a little one can be an adventure, air travel especially so! There are so many points that are hard on a toddler--waiting is not their specialty and that's pretty much all that happens when flying on a plane! Waiting in line to check the carseat. Waiting in line at security. Waiting in line for trams to outlying terminals. Waiting to depart the plane. Waiting for checked bag (carseat). Catherine's previous flying experience was excellent--and Delta and the TSA played a pivotal part in that. This trip was so-so. Once again I scored a cheap deal on Orbitz. However, this time we had a connecting flight instead of a direct flight; we were traveling from Baltimore (BWI) to Philadelphia (PHL) and then to Cincinnati (CVG). Our gate was way back in an almost deserted terminal. Which was perfect for us! Catherine and I could wander around without bothering anyone. We passed time by going up one escalator and down another. It was like a miniature amusement park ride! I think only one or two people saw us doing this, and while they might have thought I was crazy I was very pleased to have such cheap and easy entertainment. The flight to Philly was super short, so short that they don't even offer you a beverage. When Catherine and I arrived in Philadelphia we found our gate and had some lunch. We were only supposed to have about an hour before boarding our next plane. I thought that would be perfect--we could have some food, I could change Catherine's diaper in the much larger airport bathrooms, and we would be able to stretch our legs for the flight to Cincinnati. Everything was going very well, Catherine even made some friends with the other passengers waiting in the gate area. Then it was past our original boarding time. Then it was past our original departure time. Finally, the gate agent came over to the podium (she didn't really stay near the gate) and said that she thinks the plane needed maintenance, but did not offer any definitive explanation or an indication of how long we would need to wait. A short while later I got a flight update text from Orbitz with a new departure time--only an hour past the original time. Then I got another text with a later time. I received a third text with yet another time. All of the texts came before the gate agent announced anything other than her one extremely vague statement. Finally the agent came back to the gate and announced that the plane had indeed needed maintenance, but that there was paperwork that still needed to be signed off on, and that even though we had a pilot we didn't have a flight attendant. She gave a departure time that matched the first text I received. We weren't on the plane. We kept waiting. People were becoming more and more disgruntled. Catherine continued smiling and waving to everyone. But she was starting to get a little cranky too. A new gate agent showed up. Travelers were trying to switch to other flights. People were starting to become unfriendly. Then out of the blue they started boarding! It took Catherine about twenty minutes to wind down once we were on the plane. Eventually she fell asleep and slept until we landed. I finally was able to relax and read my Kindle. We walked towards the baggage area and met my parents and then picked up the carseat. Now, in no way is this a horror story. We made it to our final destination only a little less than three hours late. Our carseat and all baggage arrived with us in the condition we checked it. Everything was fine. Obviously, If the plane needed maintenance I certainly wanted it to be done well and was willing to wait for things to be thoroughly checked out and documented. I am willing to endure some inconveniences for safety's sake. The was a stark difference between the two trips that Catherine and I made and it really boils down to customer care and service. US Airways failed to communicate with its passengers. We were left in the dark as to what was happening. There were very few announcements. (I got most of my information from the Orbitz texts.) People didn't know if they needed to stay in the immediate area or if they could go to one of the restaurants and order a meal (or a drink). The first gate agent was barely around. Everything seemed unorganized and rather haphazard. The gate agent didn't change the sign (with flight number, boarding time, and departure time) until just minutes before we boarded--and it ended up having the incorrect time anyways! The pilot was the first and only person to mention and apologize for any inconvenience. While it wasn't a terrible experience, it certainly was enough to make me give preference to non-US Airways flights in the future. 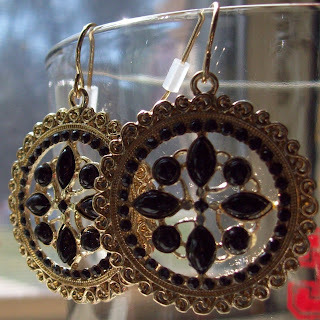 Don't forget to enter my first giveaway--a beautiful pair of earrings! That's right, I am hosting a giveaway! 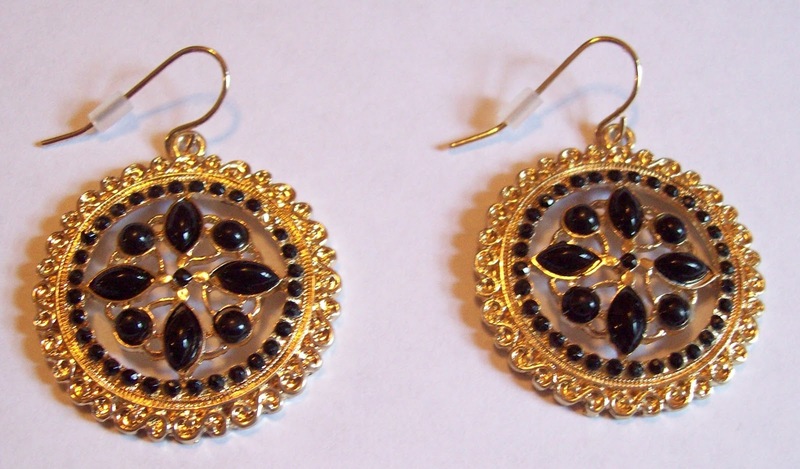 It's nothing grandiose, but you could win this beautiful pair of earrings! These super versatile earnings could be paired with either jeans or a nice black dress. 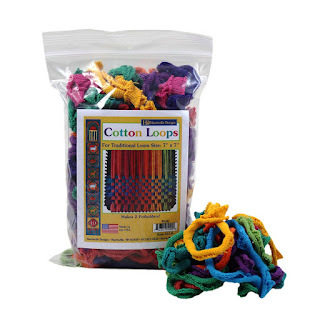 Wear them to your child's play date or a night on the town. All you have to do to enter is follow this blog. However, you must leave me a comment letting me know how you follow! Please make sure that I have a way to contact you if you win--either leave your email in the comment or make sure your profile has a link to your email. The winner will be picked at random on April 2nd and have 48 hours to respond to my email. If I don't hear from the winner by that time a new winner will be drawn. 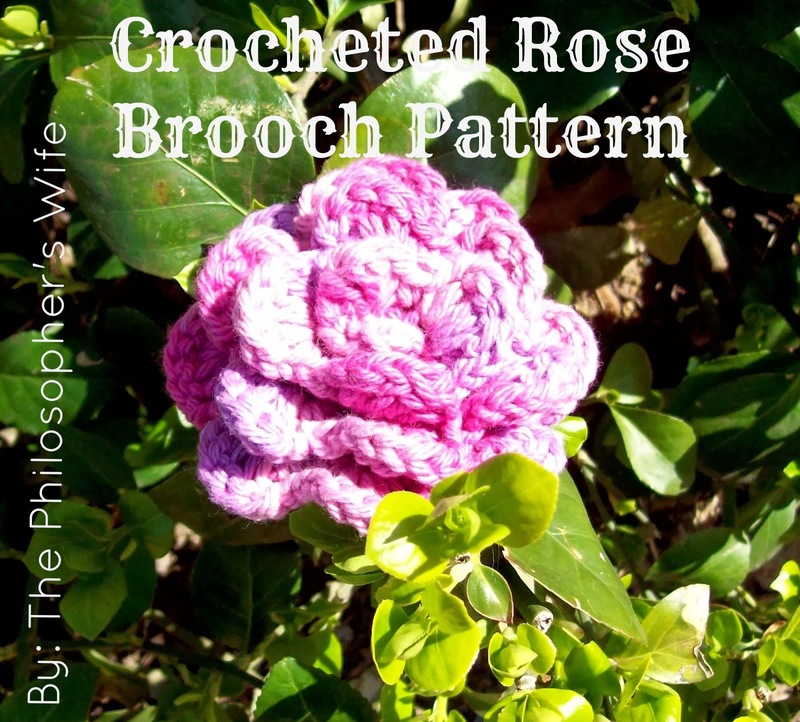 Crocheted rose brooch pins can add feminine charm to just about anything! 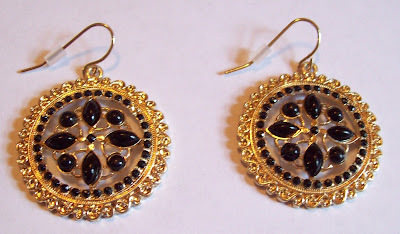 Add them to a winter coat, or a sweater, or a blazer, or a handbag, or a headband, or a dress, or . . . all kinds of things! I've never tried to write out a pattern for anyone to understand but myself, so please let me know if something is unclear--or just wrong! Double crochet in 4th chain from hook. Chain one. 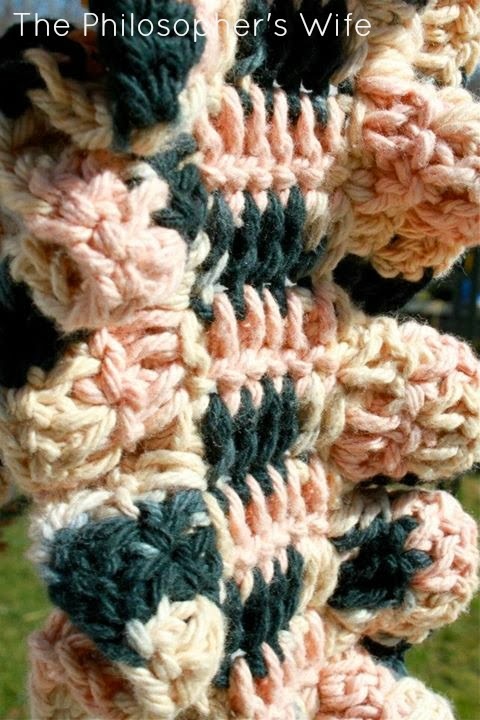 *Double crochet in next stitch. Chain one. * Repeat till end. Chain one. Turn. In the space *single crochet, chain one, 5 double crochet, chain one, single crochet*. Between the * * makes one petal. 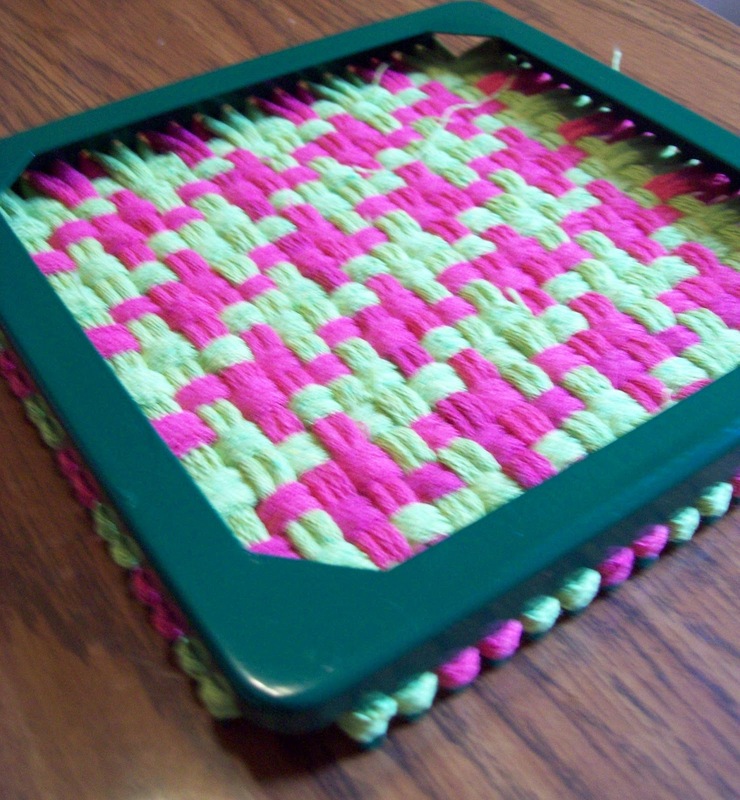 Single crochet in next space. Alternate petals and single crochet until end. Fasten off. For the backing: Chain 5. 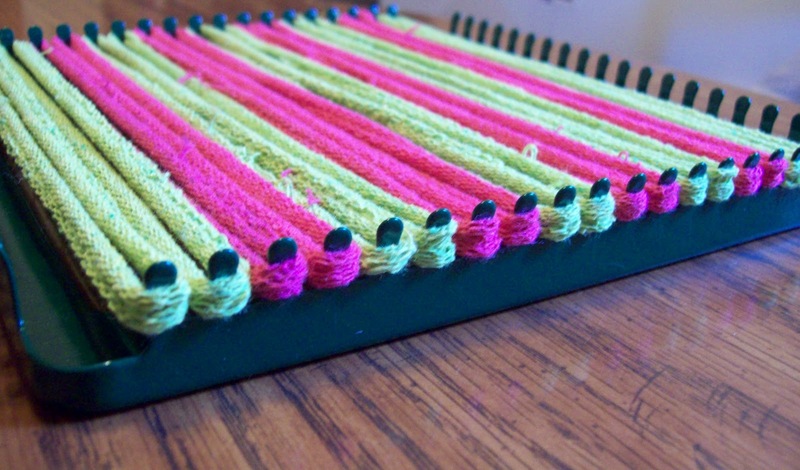 Slip stitch to make loop. 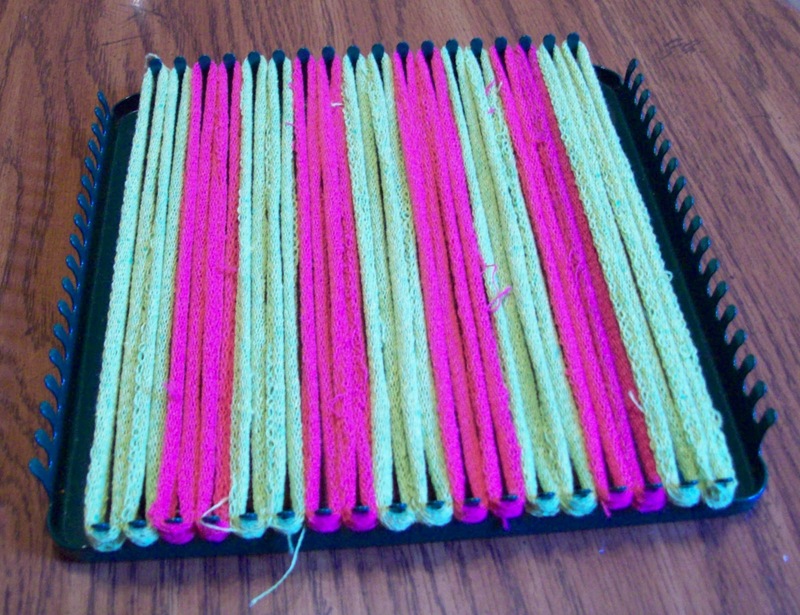 Ten single crochets in loop. Slip stitch. Chain one. Two single crochets in every stitch. Fasten off. Sew brooch pin to backing. Check out all of these awesome parties! Okay, so I am a little bit behind. I was out of town visiting with my family in Kentucky. It was a busy and fun filled trip. I am sorry that I don't have pictures to share today. ONE: We had a blast playing laser tag at Lazer Kraze! And, believe it or not, I was the high scorer of the night so I won a free t-shirt! It really was a fluke. We went on night that was ten bucks from 6-9 and were able to play six games and for one game I was on fire. I think that we will be going there again! TWO: We attended an arena football game. Go Cincinnati Commandos! I've been to one before, but this time my hubby was also able to come. It was great. We even tailgated before the game. My Dad, brother, and cousin are season ticket holders and always have a good time at the games. THREE: Have you ever had fried cheese sticks? If they come out of a box they DON'T count. Oh my gosh. If you are ever in Cincinnati you have to try Arthur's fried cheese. It is award winning battered provolone pure deliciousness. My family and uncle have gone there for years (and only order cheese, a basket of fries, and drinks). It might be a heart attack on a plate, but it is totally worth it! FOUR: There is more about the trip that I'd like to talk (a.k.a. blog!) about. The Newport Aquarium and mine and Catherine's flying experience are two events that deserve a more in-depth post! SIX: I've joined Pinterest. I'm not totally loving it yet, but it seems that many bloggers highly endorse it--both as a fun thing and as a blogging tool. So I guess that I will give it a shot! If I decide that I don't like it I can always delete my account. Feel free to check me out. SEVEN: As fun as vacationing and visiting with family can be there is something nice about being home. To be utterly non-eloquent, there is just something right about it. 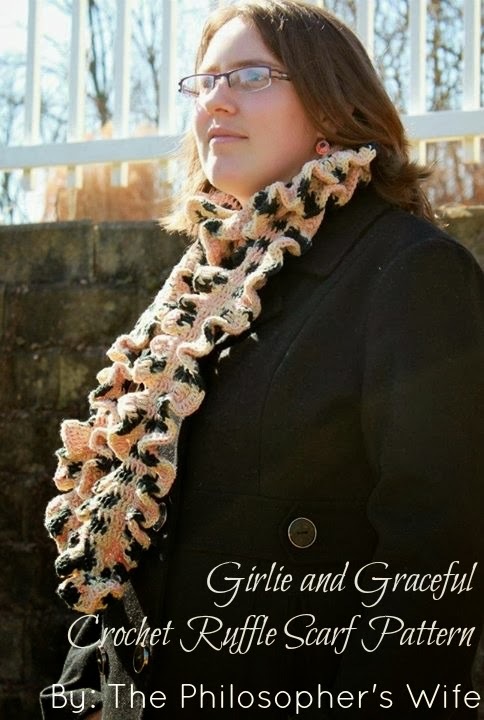 Here's a fun crocheted scarf that I designed on a whim. 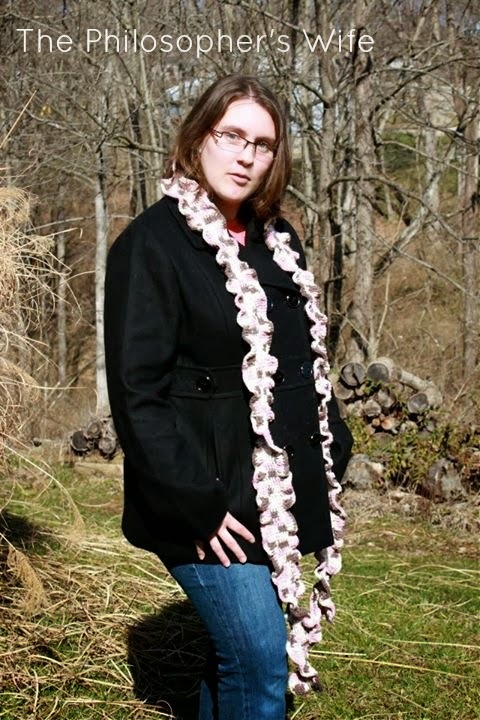 At first I had wanted to make a fun crocheted twisty ruffle scarf like this one in my Etsy shop. However, I didn't think that I had enough yarn. 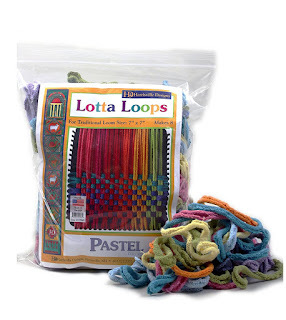 (Twisty scarves use a surprising amount of yarn!) But I really wanted something with a little bit of a ruffle AND I wanted it to be long. I love long scarves. So, this is what I came up with! First I made a skinny scarf using double crochet just a tad shorter than I wanted. I believe that both of the scarves pictured are less than 15 stitches wide. Then I double crocheted all around the skinny scarf putting two stitches in every spaces. I did a second row of double crochet all around alternating two stitches in one space, two stitches in one space, one stitch in one space. It was finished off with a row of single crochet. How's that for a super simple pattern? 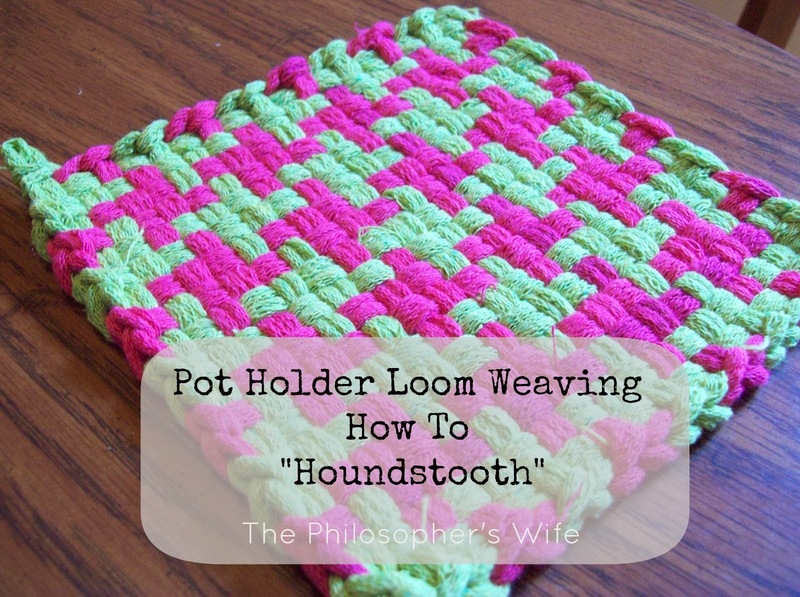 This is an incredibly versatile basic pattern that I've done twice so far -- and I am sure that I am going to use it again! The ruffle can be just barely there, or almost twisty all depending on how many stitches are done in the same space and the number of rows. The main body can be super skinny or thick. 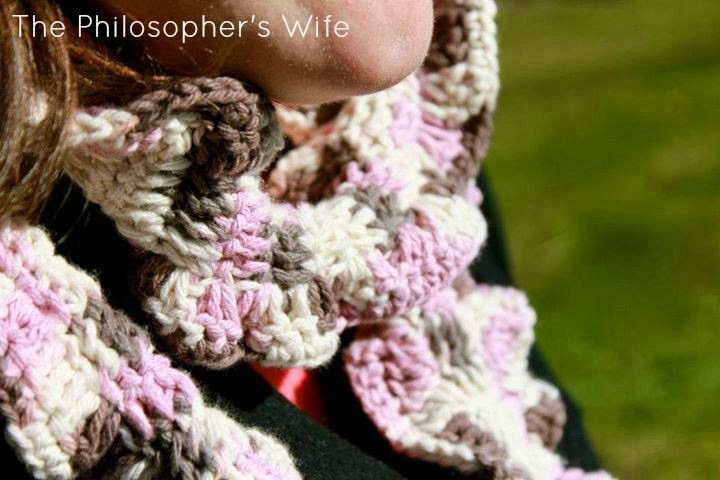 It could be a winter scarf using a heavier yarn or an all year round accessory using a lighter specialty yarn. The possibilities are endless! So what do you think? 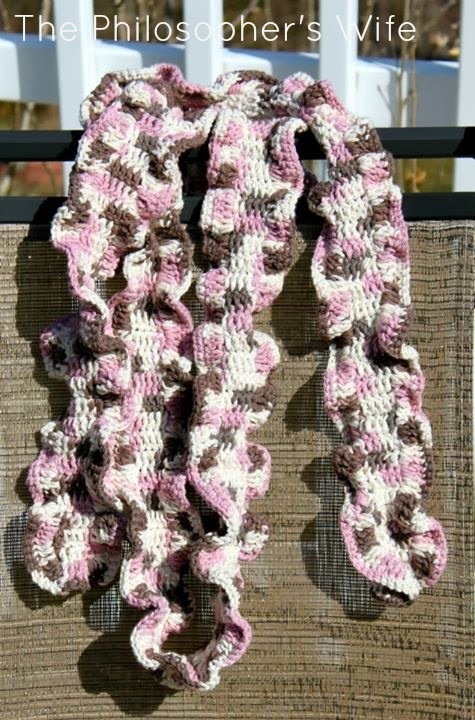 Are you going to try to make a Girlie and Graceful Crochet Ruffle Scarf? I'd love to hear about it if you do! Check out these awesome link parties!